Clarified butter is the result of heating the butter on low heat so that it separates from the solids, which are removed, so that only the pure butterfat remains. During this process the butter separates in three parts. First of all the foam which forms on top has to be removed and discarded. Then the melted butter in the middle is carefully removed by carefully taking it with a spoon. 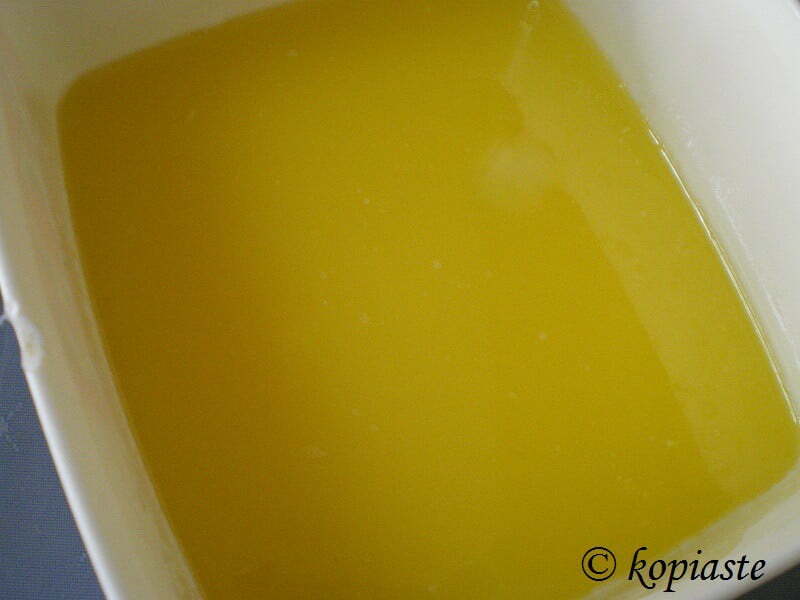 This is the part which becomes the clarified butter. The remaining third part, which are the milk solids should also be discarded. The reason we clarify butter is that it becomes resistant to high temperatures, which makes it the ideal fat for pan-frying. In Greece, we also use clarified butter in recipes with phyllo so that when wetting the phyllo with butter, we avoid burning them. Heat the butter in a pot or frying pan on low temperature. Skim off the froth on the surface. Carefully collect the melted butter with a spoon, avoiding the milk solids. Discard the milk solids. You can filter it if you like but in my opinion there is a lot of waste. Use it immediately or store it in the fridge to be used whenever necessary.